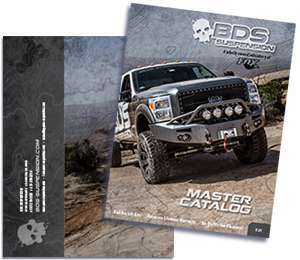 BDS Suspension operates with one guiding premise—to provide true value to the customer by engineering and manufacturing the highest quality aftermarket suspension lift kits, leveling kits and accessories for 4x4 off-road truck and Jeep enthusiasts. Our suspension products are priced competitively, and backed by the best lifetime warranty in the industry. We distribute our products direct to the consumer from this website or through our international network of factory trained expert dealer/installers. What does this mean to you? Simply put, you can choose your suspension lift kit, leveling kit, and quality accessories with the confidence of knowing you have chosen the best. The NHTSA's Federal Motor Vehicle Safety Standard (FMVSS) No.126 requires all new passenger vehicles to include Electronic Stability Control (ESC) systems that meet certain standards that can be tested through a comprehensive series of evasive maneuvers. Aftermarket products must meet these standards as well.